Skip the line at the DMV! 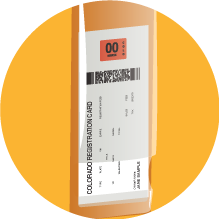 Colorado MV Express is a self-service DMV kiosk that offers a fast and easy way to renew your vehicle registration. More than 150,000 vehicles have been renewed at Colorado MV Express kiosks in Colorado. You don't need to take a number or sit and wait; the average transaction takes less than two minutes. After a successful renewal, a new registration document and license plate decal prints immediately. Scan your renewal postcard or type your license plate number. 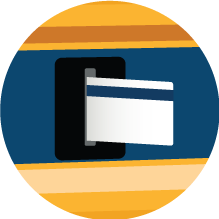 Pay your taxes and fees via card, check, or cash (most locations). 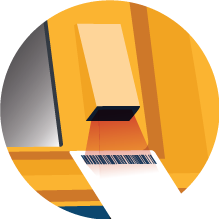 Your registration and tab prints on the spot, and you’re ready to go! Who can use the DMV kiosk? You must have proof of liability insurance on file (if indicated on your renewal postcard). You must have a valid Vehicle Emission Inspection on file (if applicable). If you meet all requirements shown above, you may renew your vehicle registration at any kiosk in the state! You can renew anytime, starting in the month prior to your expiration month. There is late fee of $25 per month and back ownership taxes if you renew after your grace period has ended.